Hair loss is a menace that plagues so many of us today. It’s a sad fact that most of us will have to face one way or another at some point in our lives. 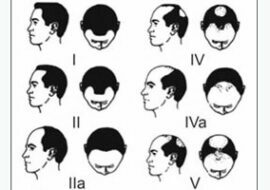 As a matter of fact, 40% of men will have noticeable hair loss by the age of 35. By the time they live to 80 years, as many as 80% will have to contend with hair loss. Women are also not exempt from this reality; roughly 50% of women will experience hair loss during their lifespan. With millions of people suffering from hair loss, methods for hair restoration are in high demand and have been rigorously developed over the years. Hair transplantation is hands-down the best method of restoring your hair. It’s a surgical procedure that gives the patient a chance to regain a full head of hair even after extensive balding. Since it was discovered, hair transplantation has undergone many ground-breaking advancements to make it more streamlined and effective. To appreciate these changes, let us first step back and see just hair transplantation was like in its earliest days. Hair plugs are small circular pieces of tissue harvested from the donor site at the back of the head to be transplanted elsewhere on the scalp. These plugs measured 3-4 mm in size and normally contained 12 to 30 hair follicles per unit. Once implanted, the hair in the new sites grew normally. The use of hair plugs was the first hair transplantation technique discovered. In 1952, Dr. Norman Orentreich performed the hair transplant surgery in New York. 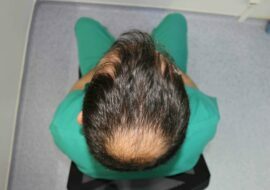 This surgery was based on the premise that hair harvested from the permanent zone (resistant to balding) at the sides and back of the head retains its characteristics when transplanted to the balding area of the head. The hair transplanted would consequently grow normally and not be affected by the process of balding. Unfortunately, while the discovery resulted in widespread excitement, the use of hair plugs didn’t necessarily result in a cosmetically acceptable outcome. The procedure caused extensive scarring in the scalp and the transplanted hair often grew unnaturally in isolated clumps that resembled doll hair. Despite this, the use of hair plugs was so rampant throughout the 1970s that the term ‘hair plugs’ soon became synonymous with hair transplantation. This outdated technique has now been largely abandoned due to better alternatives such as FUE. Follicular Unit Extraction (FUE) is a procedure that harvests individual follicles or a very small group from the donor site of the scalp then the follicular units are transplanted onto the balding spots. 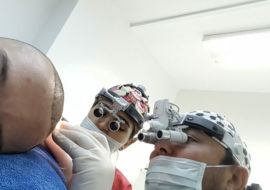 Unlike hair plug transplantation, FUE has very minimal scarring since the procedure only leaves very small holes at the extraction site which heal in a few days. Additionally, the follicular units are transferred individually ensuring that the resulting hair growth appears natural and aesthetically pleasing compared to the results seen in hair plug transplantation. FUE is also a minimally invasive surgical technique meaning that any side effects like excess bleeding, itching, inflammation and oedema will be reduced. However, FUE requires a lot of time for complete hair restoration because the follicular units have to be removed individually. You could end up with multiple sessions spread over a long time period before achieving results. The procedure is also very technical, requiring a lot of expertise to be successful. You should then strive to find a qualified surgeon with enough training and experience to perform the procedure correctly. Otherwise, you may waste your funds only to undergo a painful and ineffective procedure.